LaserCutZ’s state of the art fiber laser can do precision marking on any metal. 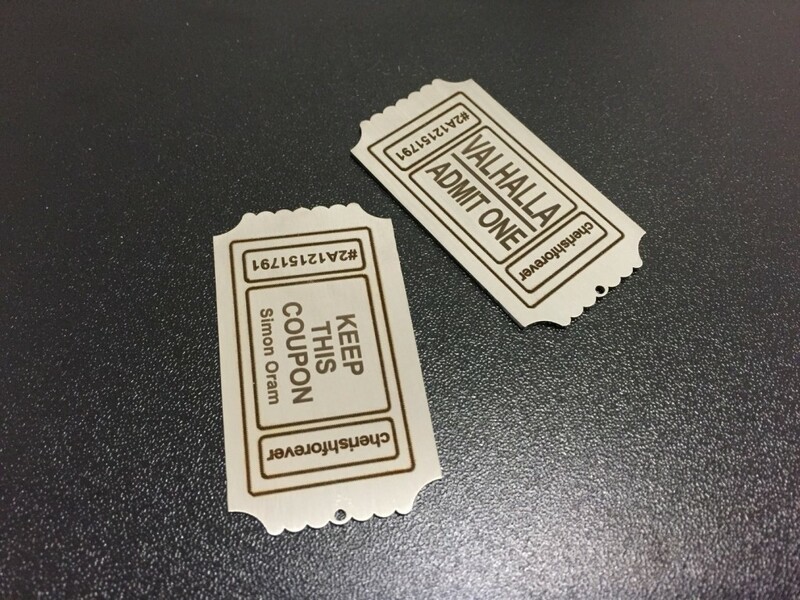 Our latest project required to make a production of metal tags out of stainless steel that have shape of ruffle or movie ticket. Each metal tag has variable (unique) text on it, such as serial number and name and they are double sided. Advantages of fiber laser engraving on metal is that it is scratch proof and markings will never wash out by any chemicals.